WataugaWatch: Trump to "The Common Man": More Goldman Sachs For You! Trump to "The Common Man": More Goldman Sachs For You! Steven Mnuchin, 2017 - infinity? “We think by cutting corporate taxes we’ll create huge economic growth and we’ll have huge personal income,” the man who lost a vowel told CNBC. ("Mnuchin" is pronounced mi-NEW-chin.) Mnuchin is going to fit right in with the Trump Locker Room because he uses huge so often. Plus he's rich and a hedge-fund operative. And he thinks that cutting taxes on the rich and powerful is gonna help Mr. Common Man, as though we haven't tried that route before. Trump barked at the delegates to the Republican National Convention: “The forgotten men and women of our country — people who work hard but no longer have a voice: I am your voice” ... though I intend to hang out exclusively with billionaires in my cabinet, he did not add out loud. "I am your voice" as long as that voice is spouting lies about "millions" of people voting illegally. "I am your voice" as long as that voice is spouting racist or prejudicial attacks on groups of citizens. "I am your voice" as long as you stay glued to Dancing With the Stars and Fox News and refrain from skepticism. Meanwhile, Steven Mnuchin, our new Secretary of the Treasury To Be, is criticized for cashing in on the country’s financial collapse in 2008. 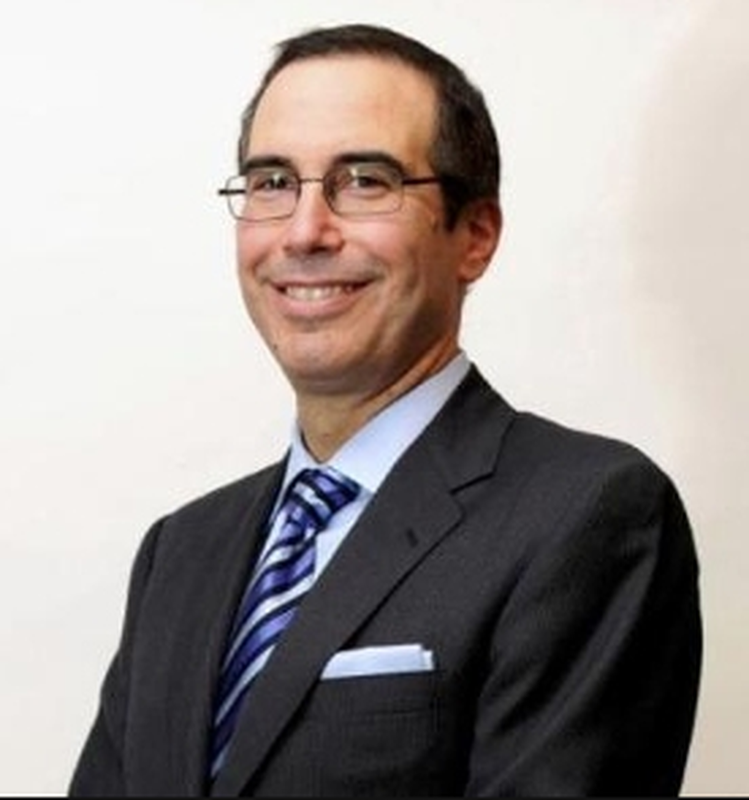 “He purchased a bailed-out bank for pennies on the dollar and then aggressively foreclosed on tens of thousands of families,” Jon Green, a spokesman for the Take on Wall Street campaign, said following the announcement of Mnuchin's appointment.